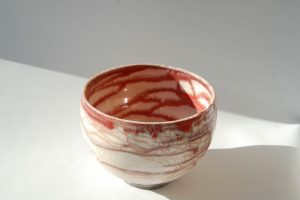 Bruce Chivers lecturer in Art and Design has been selected to represent British Raku pottery in a joint exhibition and residency in Kyoto, Japan. The 14 day residency organised by East-West Art Link (EWAL) is a cultural exchange within a 20 year programme promoting ties between the UK and Japan. EWAL provides artists with a platform to show and sell their works worldwide.